Here's a Valentine's Day freebie for grades 2-3. One page has 2-digit addition without regrouping and the other page has 3-digit subtraction with regrouping. Each page has 16 problems. 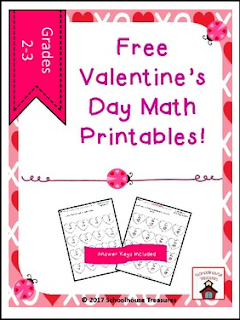 Product includes 2 worksheets and 2 answer keys making it a total of 6 pages including the cover and credits page.